Secure Remote IT Support is one of the fastest ways of getting your users back up-and-running in the quickest possible time. That's why the majority of support calls we received are now resolved quickly and efficiently through secure remote IT support. And if you don't already have a Firewall which allows secure remote access to your computer network, when you take out an IT support contract through us, we'll be pleased to advise on a suitable hardware appliance which will allow us to access your network any time you need our help. Furthermore, installing such a Firewall with remote access capability can have the added advantage of allowing you and / or any users you designate to be able to work remotely, either from home or when away on business trips. 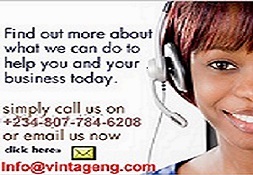 Remote Access IT support from Vintage Technologies is all part and parcel of the time you buy for Telephone Helpdesk support. In other words, you don't pay extra for us to access your computer network and take remote control of servers, workstations, firewalls or any other hardware device on your network. To begin with, we make a secure VPN connection to your Firewall, so that any data transmitted between your network and our office is encrypted, reducing the risk of fraud and data theft. Once we've established a secure VPN tunnel, as it is known, we generally access servers using a Remote Desktop Session whereas we usually access PCs with a piece of remote control software such as Log me in or VNC. As mentioned, when we undertake remote support we ensure the data is encrypted and secure. But there's a key advantage to supporting your PC users by taking remote control of their workstations in front of them, namely that they get to see what we do and how we fix problems; so the next time they experience a similar issue, they can sometimes remedy the problem themselves without incurring a support call, thus saving your business money. Remote support calls are undertaken in conjunction with telephone support so they are all recorded on the monthly call sheet which is provided as standard. It doesn't matter whether you have a full service level agreement (SLA) included with an IT support contract or whether you only have a small network and use our Ad Hoc IT Support Service: either way, your designated IT contact will receive a monthly round up of all the calls made by your firm and how they were resolved. At Vintage we like to do things differently ... but for the better! We started with a simple promise: that we should aim to provide a better service in both IT Support and Remote Surveillance by utilising our inherent understanding of these industries and by drawing on our extensive experience in IT and Risk Management.